I am guessing that for a lot of you out there in the DIY world Pinterest is a daily stomping ground. For me it can be an obssesion so I have to make sure I watch my time, it is very easy to get lost in there. Anyway today's inspiration is courtesy of Pinterest. From start to finish this is not a long project. You just need to allow for paint drying time. The piece of wood that I reclaimed was already the perfect length so no cutting was required. I just needed to do a tiny bit of sanding before I painted. The only part of the wood that did not get painted was the back. I didn't think it was necessary. Once the paint dried I drilled twelve holes for the hooks. I wanted everything to hang flat so I drilled the holes for my hooks on the bottom. Note: Read the directions for the type of hooks you purchase to know what drill bit to use. Once the holes were drilled I screwed in the hooks, one for each month. I tried to keep cost down so I opted to make my own stencil using my computer and a fun font and then painting the lettering on. You can also purchase the lettering or phrase you want at any craft store if you want to speed things up. I used alphabet stickers that I already had for the months to give the piece a little pop. 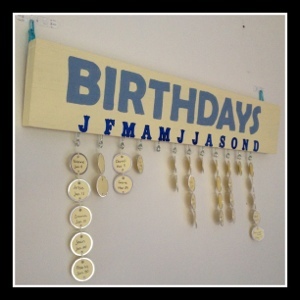 After that just secure your picture frame hanging hardware and you are ready to compile your birthdays. I lucked out and found my metal rim tags on clearance at Staples and they matched my yellow paint too so that was a double bonus. I wrote out my names and birthdays and then used a small hole punch at the bottom of each tag. This second hole allows you to secure the next tag underneath. Securing my tags onto the board was really just trial and error. The first try they were to long and too far apart. Second go around I cut all the strings to two inches. The first birthday of each month is tied to the hook and then each tag after is tied to the previous one. This did take a little time but I am pleased with the finished product. 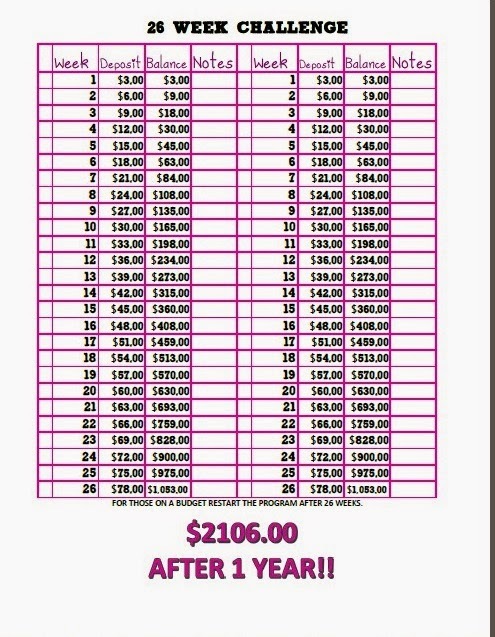 Hope this gives you an idea on where to start with your Birthday Calendar! Moving can be very stressful if you are not organized about the process. I am going to be relocating to AZ in a month and I want the process to be as painless as possible. I have moved in the past but it has always been alone. This move includes two of us and lots more stuff. For this adventure I want to have my boxes as organized as possible and any important documents readily available. To tackle the box organization I went to pinterest to find inspiration. Happily I did find a few links to some great printables. For my box organization I went to drelynn.com. There is a great Packing Printable. The printable includes an Index page, two large labels and four smaller labels. You have the ability to number boxes, write a detailed list of what is in each box, indicate if the box is fragile and then on the index page give yourself a summary of your boxes. I love it and recommend checking it out. To keep my important documents organized I purchased a brightly colored three ring binder. I decided on a lime green 1" binder, if you have a lot you may want to choose a 1.5" or even 2" binder. It is all a personal prefrence. I don't want to make hole punches in anything so I did splurge and purchase the clear protective covers so I can just slip the papers in. For me important documents means anything that has personal information on it or papers that I may need if something were to happen during the move. The last printable I found is great for those of you moving across town or if you know exactly where you are moving into. I am staying with friends until I am able to find an apartment so some of this printable don't really work for me. Even though I don't get to apply all of the sections that are provided it is still awesome. Check out this fellow blogger Gifts We Use for the free printable that she has provided for Moving Day. 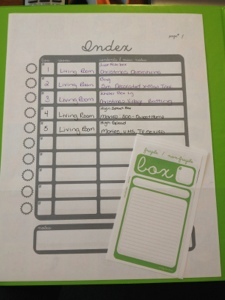 I personally love the blank calendar that she has provided check it out Moving Planner. For all the organizers out there happy packing and enjoy!